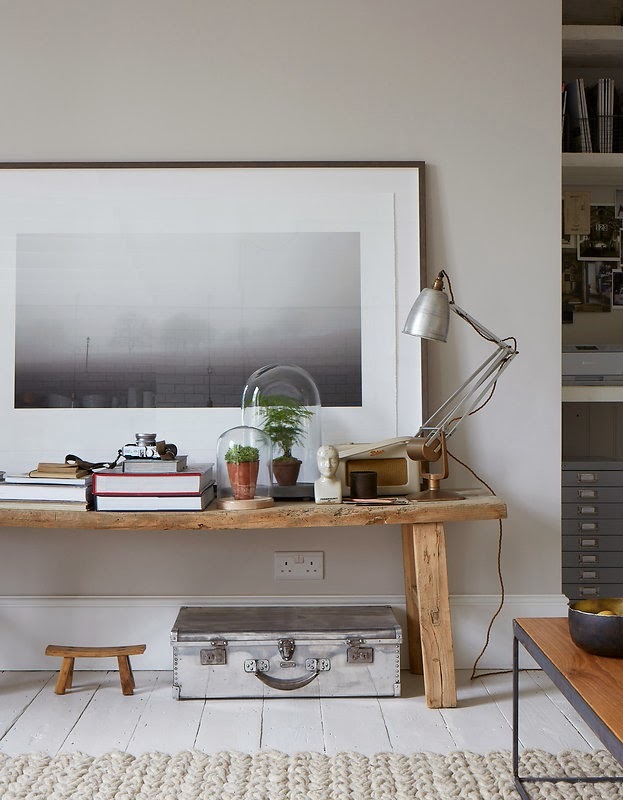 To follow what's turning into a vintage inspired week, here's a home in Primrose Hill, London, owned and designed by photographer Paul Massey. The space has been designed using an eclectic mix of styles with touches of industrial, vintage, rustic and french country. Add a touch of white / grey Scandinavian (am I missing a touch?!) 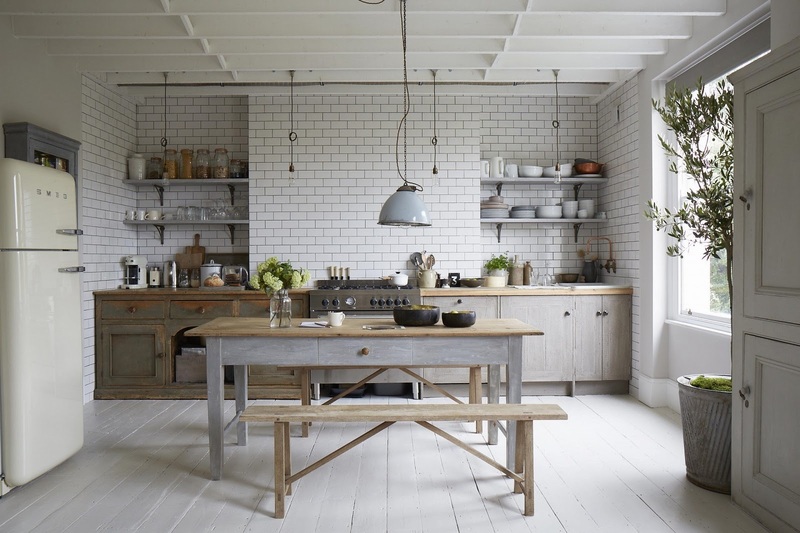 and what you get is a beautiful, relaxed, light filled home in London. Could you live here? You can see more pictures of this home here if you'd like to. 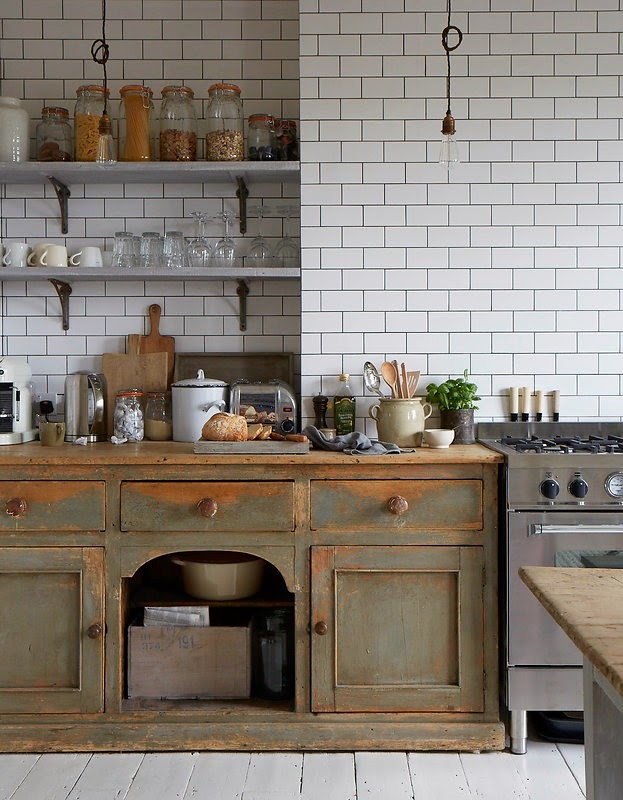 We have a Swedish Gustavian chest of drawers which is currently in the guest bedroom / dressing room, and now perhaps I've found a new home for it.... the kitchen?! 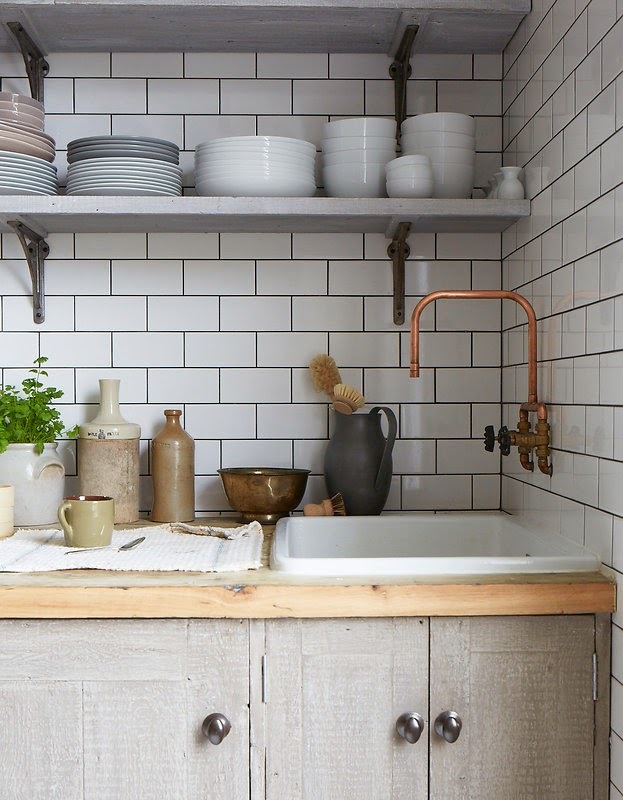 My other two key take-aways - the copper tap in the kitchen (beautiful!) and using a nook as a home office. This is the perfect little place to sit and work! 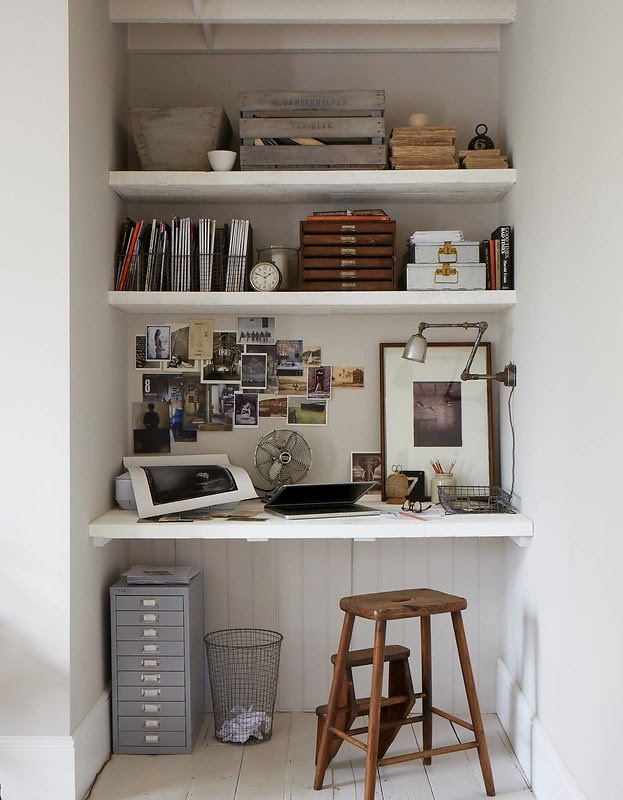 I kind of want to find a nook in my home now!! Have a lovely Wednesday - half way there already - yay!